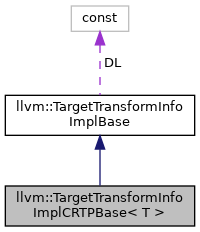 CRTP base class for use as a mix-in that aids implementing a TargetTransformInfo-compatible class. Definition at line 640 of file TargetTransformInfoImpl.h. Definition at line 645 of file TargetTransformInfoImpl.h. Definition at line 650 of file TargetTransformInfoImpl.h. Definition at line 672 of file TargetTransformInfoImpl.h. Definition at line 682 of file TargetTransformInfoImpl.h. Referenced by llvm::BasicTTIImplBase< AMDGPUTTIImpl >::getGEPCost(). Definition at line 844 of file TargetTransformInfoImpl.h. Referenced by llvm::BasicTTIImplBase< AMDGPUTTIImpl >::getInstructionLatency(). Definition at line 745 of file TargetTransformInfoImpl.h. Referenced by llvm::BasicTTIImplBase< AMDGPUTTIImpl >::getIntrinsicCost(). Definition at line 789 of file TargetTransformInfoImpl.h. 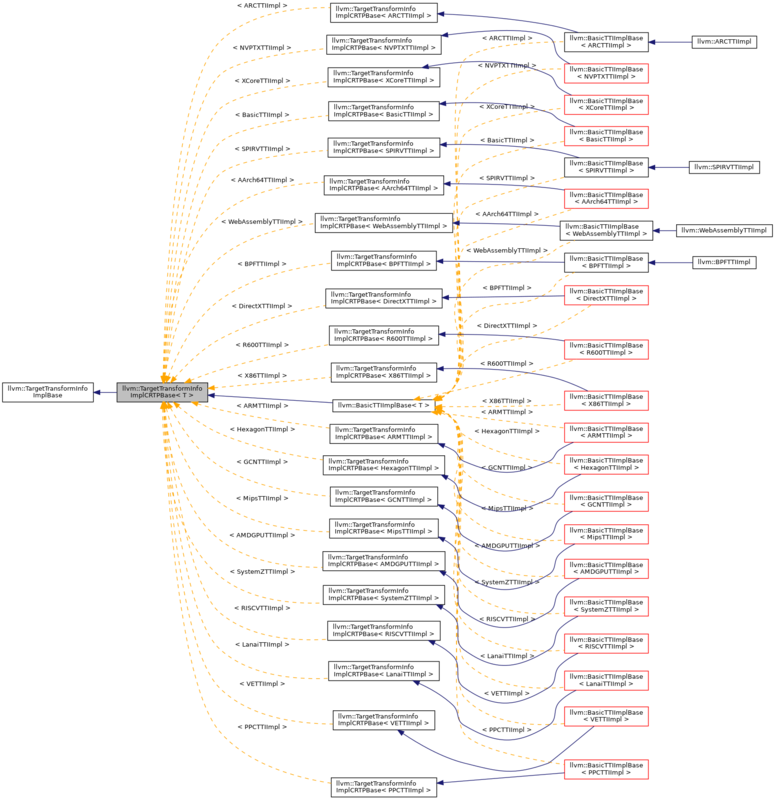 Definition at line 801 of file TargetTransformInfoImpl.h.